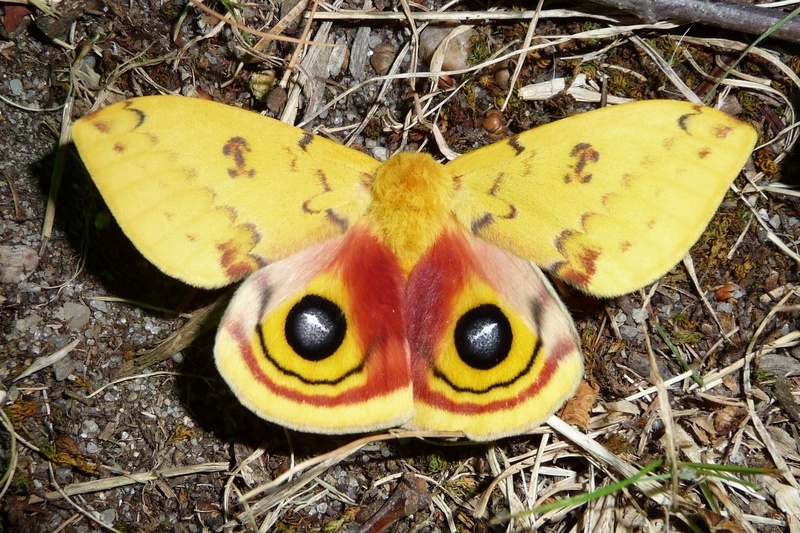 National Moth Week – “The Year of the Silk Moth” – What’s in a name? 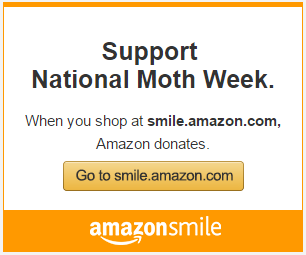 Participate in National Moth Week and Explore the Wonders of Moths! This year, National Moth Week is spotlighting Silk Moths around the world. Many of the silk moths are stunningly beautiful but many are also in decline. Silk moths are fascinating too. They are distantly related to the moth that is used in silk production. The adults also have greatly reduced mouthparts and do not feed. They simply find a mate and die. Did you know that many of the Silk moths have common names (and their scientific species names) that are from Greek and Roman mythology? 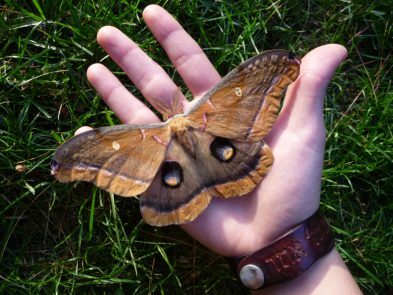 Polyphemus (Antheraea polyphemus) – The name of this moth is simply perfect. This moth has a huge single fake eyespot on each wing. Polyphemus was the gigantic one-eyed son of Poseidon and Thoosa in Homer’s Odyssey, a cyclops. Cyclopes have a single eye in the center of their forehead, hence the common name of the beautiful Polyphemus moth that has one large fake eye on each wing. 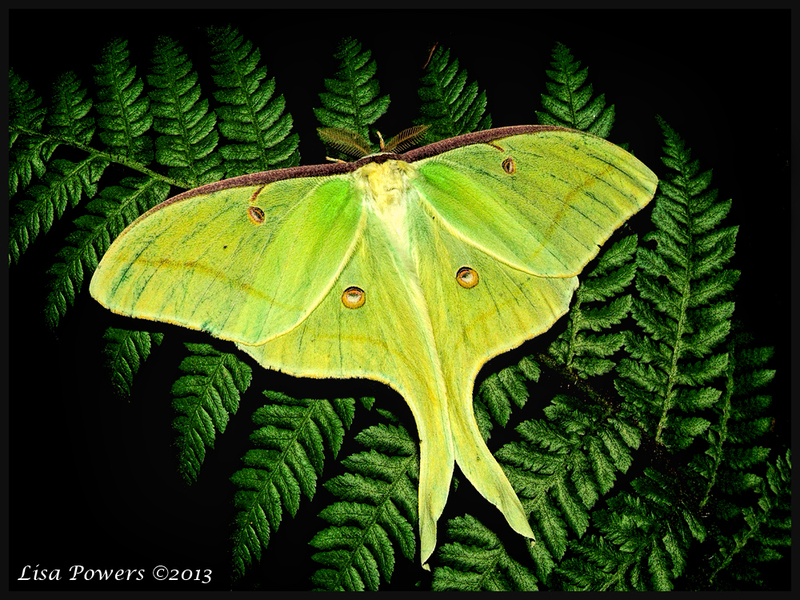 Luna (Actias luna) – In Roman mythology the moon goddess was called Luna, in Greek mythology the counterpart was Selene (meaning “moon”) and the daughter of the Titans Hyperion and Theia. Luna Moth (Actias luna) spotted by Project Noah member Lisa Powers. Promethea (Callosamia promethea) – (Prometheus) in Greek mythology is a Titan, the son of Iapetus and Themis, and brother to Atlas, Epimetheus and Menoetius. He was a champion of mankind, known for his wily intelligence, who stole fire from Zeus and gave it to mortals. Io (Automeris io) – in Greek mythology a priestess changed by Zeus into a young cow. Cecropia (Hyalophora cecropia) – (Cecrops) in Greek mythology was considered to be the founder of Greek civilization and the city of Athens. Cecrops was half-man, half-snake. He had no parents and was believed to have been born out of the earth. 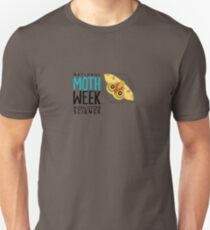 This entry was posted in Moth Identification, Moth Information, Mothing and tagged education, mothing, project noah, silk moth. Bookmark the permalink. Thank uso and csn for catching the error in the caption. Great post, but it looks like you mixed up your prometheas and cecropias! 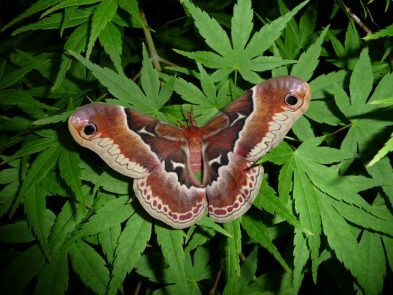 The image above is miss labeled and not a Cecropia, but a female Promethea.